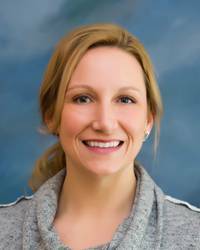 Dr. Sarah Olstyn Martinez is the emergency department medical director at Seton Northwest Hospital in Austin, TX. Dr. Martinez previously served as the ED medical director at Seton Southwest Hospital. She joined Emergency Service Partners, a founding partner of US Acute Care Solutions, in 2009 as a member of our traveling internal locums team and has worked at Cedar Park Regional Medical Center, Seton Highland Lakes Hospital in Burnet, and CHRISTUS St. Michael Health System in Texarkana, among other locations. She is a graduate of ESP’s Leadership Academy and served on the Nominating Committee for ESP’s Board of Managers. Prior to working in Texas, Dr. Martinez held emergency medicine positions in Wisconsin and Illinois. A board-certified emergency physician, she earned her bachelor’s and master’s degrees from Central Michigan University and her Doctor of Osteopathic Medicine degree from Michigan State University. Following an internship at Chicago’s Mount Sinai Hospital, Dr. Martinez completed her residency training at Midwestern University-Chicago College of Osteopathic Medicine, where she received more than 5,000 hours of training at a variety of institutions and served as chair of the Residency Improvement Committee.